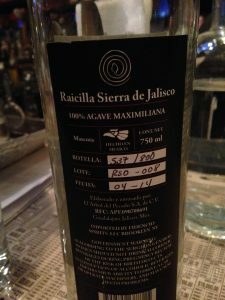 Since its premiere at Mezcal: Mexico in a Bottle 2014 Raicilla Venenosa has been a constant presence at better mezcalerias. 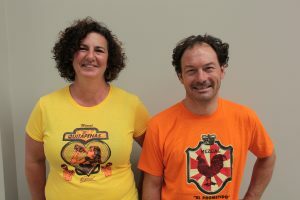 It was the first racilla legally imported into the United States and was only recently joined by a second. 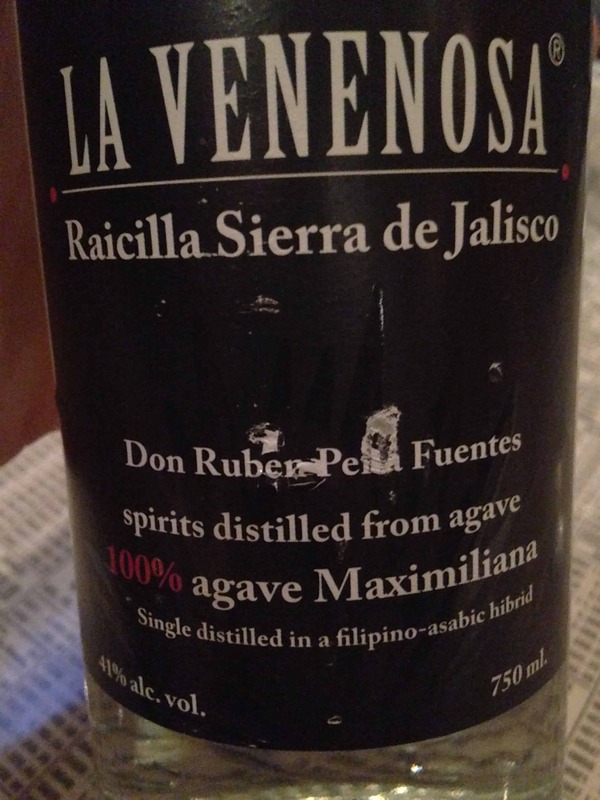 The distinctive flavors of this other Jaliscan mezcal are well worth seeking out. Esteban Morales really brought raicilla to the United States and we’re all the richer for his work with Arik Torren to make that happen because raicilla is so different from other mezcals – once you try it you’ll instantly understand why it deserves its own category. The word raicilla is literally translated as “little root” and emerged in the late 18th Century when the Spanish crown was unhappy that mezcal was undermining tax revenue from Spanish brandy so it made mezcal illegal. 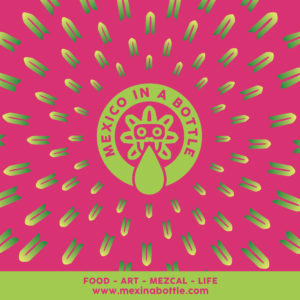 Locals in Jalisco started calling their local mezcal raicilla after tinctures created from medicinal roots like angostura and the authorities either let it slide or were happy in their ignorance. Fast forward to today and distillers have continued to make raicilla in the coastal valleys and ranges of Jalisco. It was completely overshadowed by the explosive growth of tequila. But it’s always been there, both as reminder of mezcal’s vivid history and as a livelihood for a dwindling group of distillers. Fortunately they managed to get the Denominación legalized in 2000 which put it on the map and started the arduous process for raicilla aficionados like Esteban to bring it back to the prominence it deserves. 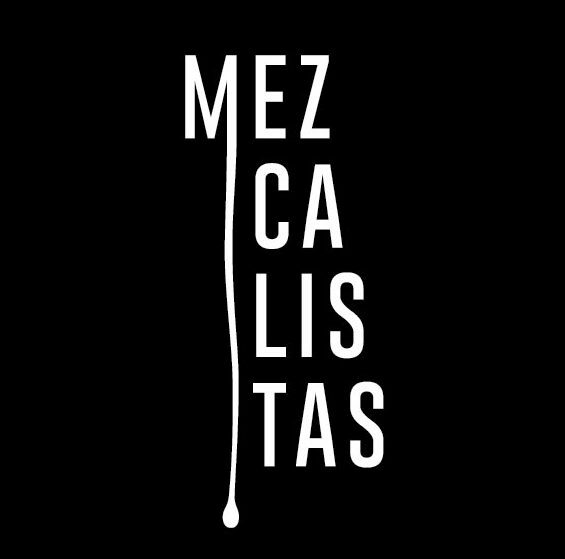 In 2014, we were very proud to host the official launch of Venenosa Raicilla in the United States at our very first Mezcal: Mexico in a Bottle tasting which Esteban attended along with Arik Torrens from Fidencio which distributes the line domestically. Their table was mobbed throughout the tasting because people were so amazed by the diversity in tastes. They started selling nationwide the month after the event and routinely surprise anyone lucky enough to taste raicilla for the first time. This bottle is notable for for so many reasons just to zero in on a few: It is one of the few single distilled mezcals around and produced from cultivated Agave maximiliana so it’s a very sustainable mezcal. The geography where it’s produced is very particular, it is produced on a high coastal range less than 100 kilometers from Puerto Vallarta but at 1,500 meters above sea level. The nose blows you away with rich floral funkiness. 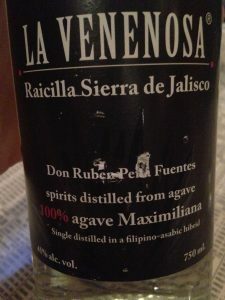 It’s one of the most vivid mezcals I’ve smelled and sticks with you far beyond the first sniff. But the real surprise is in the space between scent and flavor because once you sip it you encounter a mouthful of citrus and grassy flavors on a nicely viscous body that reminds you of a light honey. The contrasting sensations is quite effective, at first it feels like whiplash, later it’s just an amazing contrast, something that you can marvel at throughout the evening. It’s amazing that something at 42%ABV can be so rich in flavor, yet another indication that no matter how much you think you know about things, there’s always an exception or a doorway to another world.